If so, you may have seen this! I'm working on a big project and needed four 7 3/4" circles. My first attempt was to use the circle cutting attachment on my Dremel Trio, but when I broke my bit and couldn't find a replacement in local stores (had to be ordered online only), I had to get creative. Now, I have a jig saw, but even my best-cut circle wasn't perfect. The jig saw wasn't gonna do. 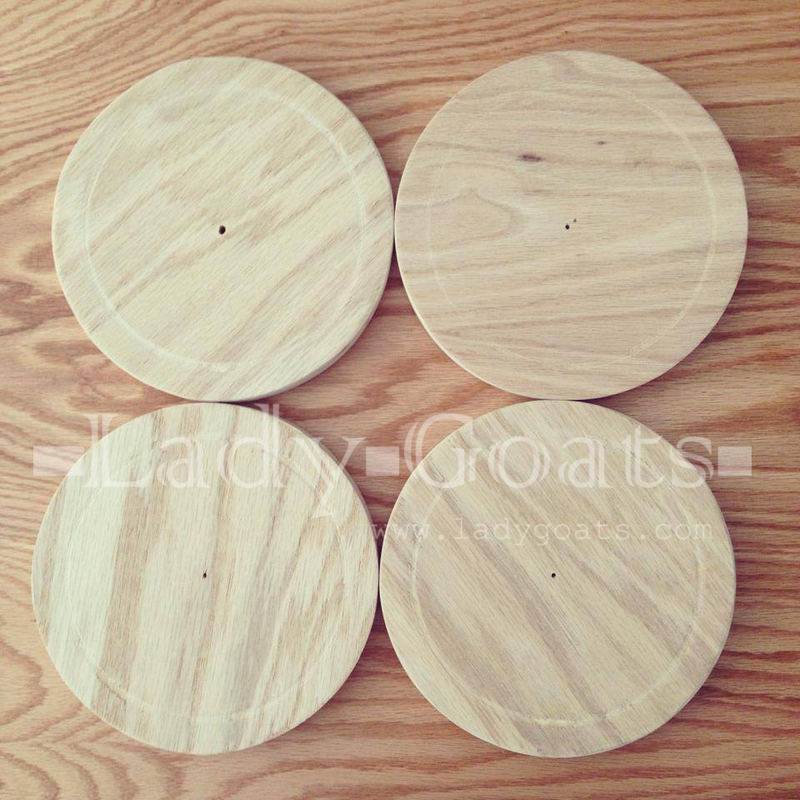 There are tutorials on how to make circles on a table saw, but I'm not sure that such a small diameter would be a good idea (plus, I'm still kinda afraid of my table saw), soooooo that's out. But I do have a router! Haven't had many chances to use it yet, so why not bust it out and try to make a jig? The first thing to do was to see how I would attach it to my router. This was my first router jig, so I was pleasantly surprised to figure out that the clear baseplate on the bottom of my plunge base came off easily by just unscrewing four screws (you're totally allowed to laugh at me if this is common knowledge). After that was removed, I grabbed some scrap 1/4" ply and traced the baseplate onto the plywood (including the screw holes). And cut it out using my jig saw (doing a not-so-great job, which made me even more grateful I was making a jig instead of trying to cut four circles by hand). 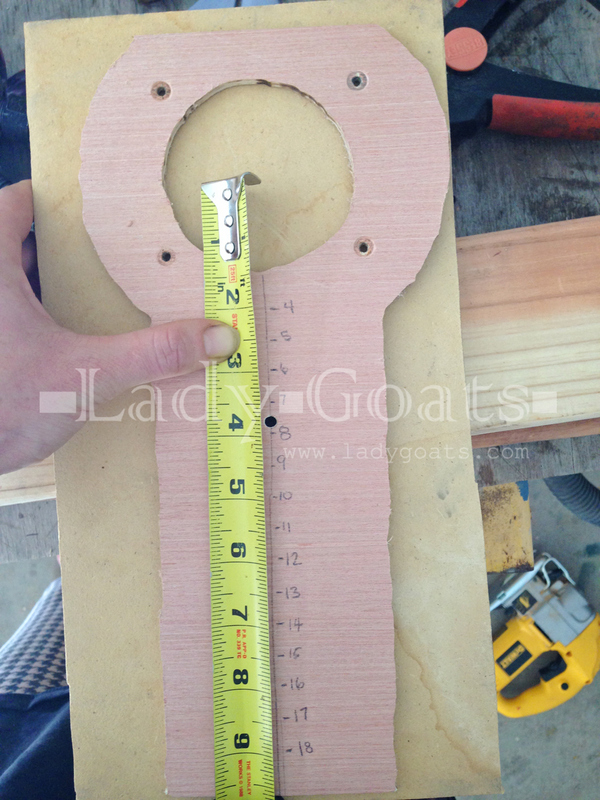 I took this picture after I routed out the circles, but wanted to share how I marked it with the measurements with the circle's diameter, not it's actual distance from the inside of the bit (so four inches away from the bit would create an 8" circle. I plan to nail through the appropriate measurement into the board I'll be cutting when I use this in the future (the screw hole was just too big!). A piece of advice if you make one: Make sure the nail is as straight as possible for the most accurate circle. Do you have a router? What kind of jigs do you have (or have you made)? I'm excited for the possibilities on this one! Wow, that is super cool! Umm I have a router, but I am a slacker and haven't used it... I can't wait to see what you are making! I've only used mine on Halloween "stuff" before now. Well, for a tiny bit of trim on my faux fireplace, but that doesn't seem like a legit amount :p When you get to playing with it, I can't wait to see what you come up with! Did you know that you can turn the blade of your jig saw at an angle? Then you can follow the lines for a circle without so much wobble. Won't give you the perfect circles this will, but my mom never owned a router and she did lots of circle things with her jig saw. I, too, have a router I've never used. Guess I need to find out some things to do with it. Thanks for this one, Gina. 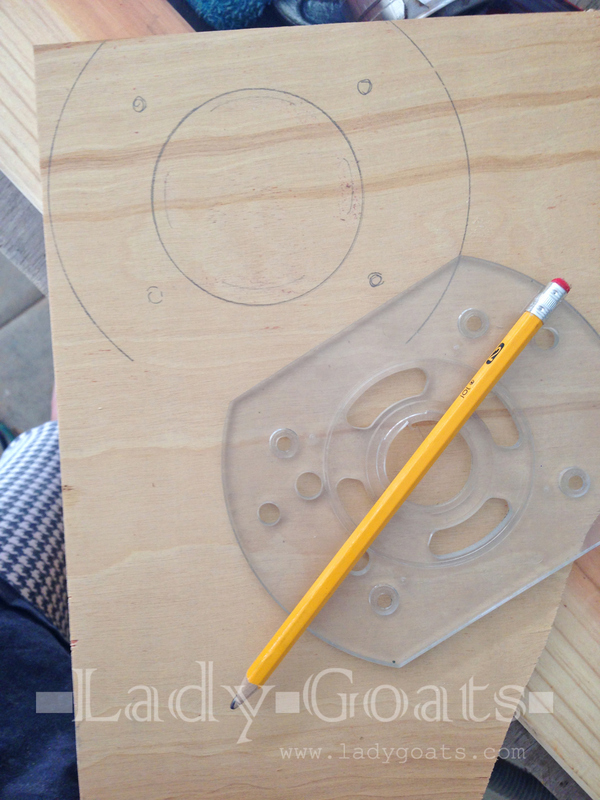 I have definitely beveled my jig saw, but would NEVER have thought that it would help with circles! I LOVE that idea! Thanks for sharing! A sheet of tips when you produce just one: Ensure that this nail bed is usually as immediately as is possible with the almost all appropriate range. Thanks for sharing your experiences. I found a lot of useful information here. I love wood working. 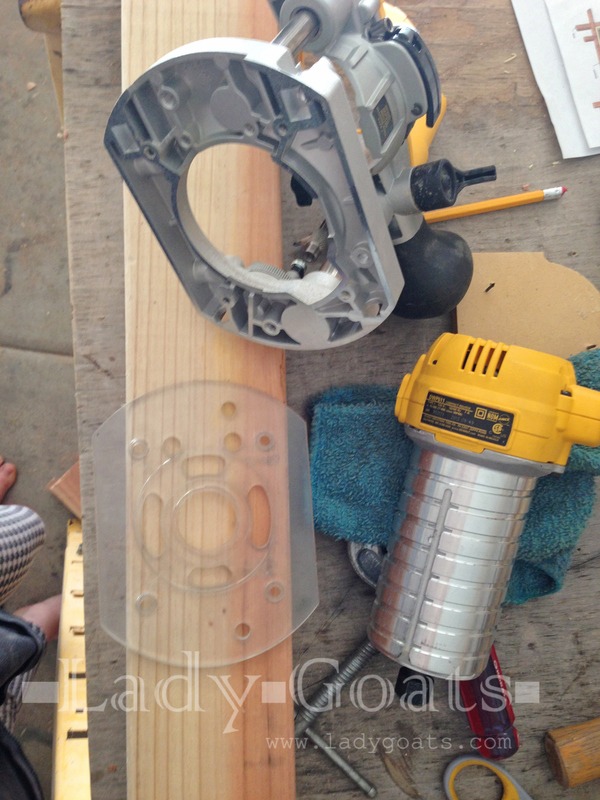 I often use wood router and miter saw for my project. I can do that with my router. outer table really helped me a lot, I have lots of saws, but each has its own uses, can not combine them duoc.toi think I have collections of all. I'm impressed at how creative people could become. This post shared mostly useful ideas and experience, even the owner is a woman, she is truly good with these stuffs. You always inspire me, and this post is no exception! Oh man, I wish I am as creative (or even half of your creativity is fine) as you are! Thanks for posting these - it inspires me to get better with my stuff. Shopping for a budget while tool shopping? These seven useful, handy and little known tips, tricks and techniques help you find the best deals available when shopping online for tools on a budget. I wonder what these ended up as? I love seeing DIY ideas around the Internet to get inspiration for my future projects for the home or to give as gifts to my friends! WoW! This is what impressive means! Thanks for the post! You always make me suprise!